These are really fun and cute - not very sinister or creepy. If you have kids, which a lot of us will on Halloween since it is on a school night, these sugar skull melamine serving plates will come in handy! The over sized sugar skulls on these Day of the Dead bride & groom plates are pretty adorable. I don't think these will scare anyone, but maybe that's because of my morbid personality? 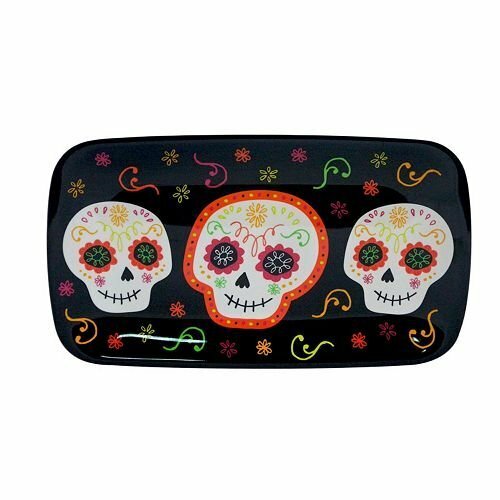 These Halloween sugar skulls serving trays would be so useful. They are some of the happiest skulls I have seen all Halloween. They have genuine smiles - nothing disturbing. I love the colors used. It's like a little fiesta! Make sure that you have trays and plates to serve your guests during your Halloween! 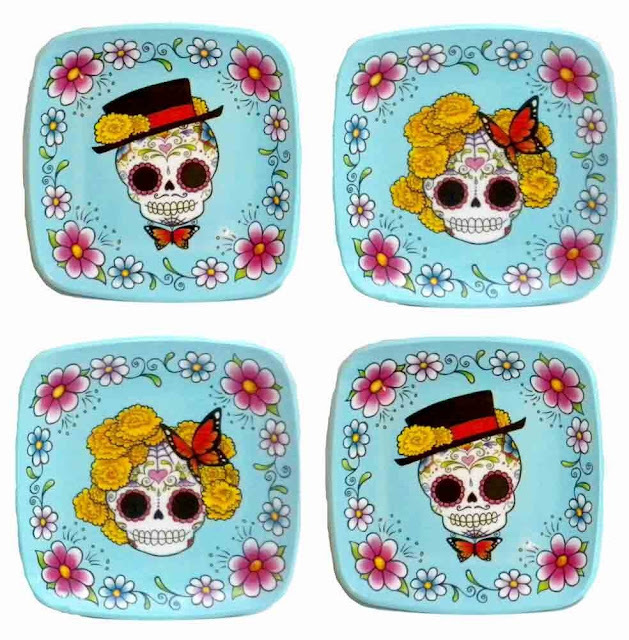 These sugar skull melamine serving plates are quirky and adorable! What do you think?